Scroll down for the #bcsm conversation report for July 27th, 2018 EST. When it comes to participants, we ranked 31st among 474 conversations. In terms of the number of posts, we ranked 31st out of 474 conversations that took place. There were 74 reshares, 79% of posts, during the course of the conversation. 64% of participants in this conversation shared a total of 18 unique pieces of content. These are the signs that led nine women to a doctor, and ultimately a breast cancer diagnosis. 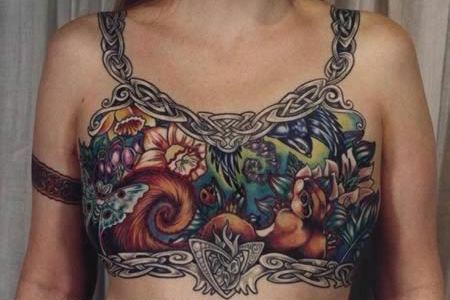 Mastectomy Tattoos: meet some amazing cancer survivors who chose body art instead of reconstructive surgery.